Double denim ensemble has always been debatable and not so easy to carry on. 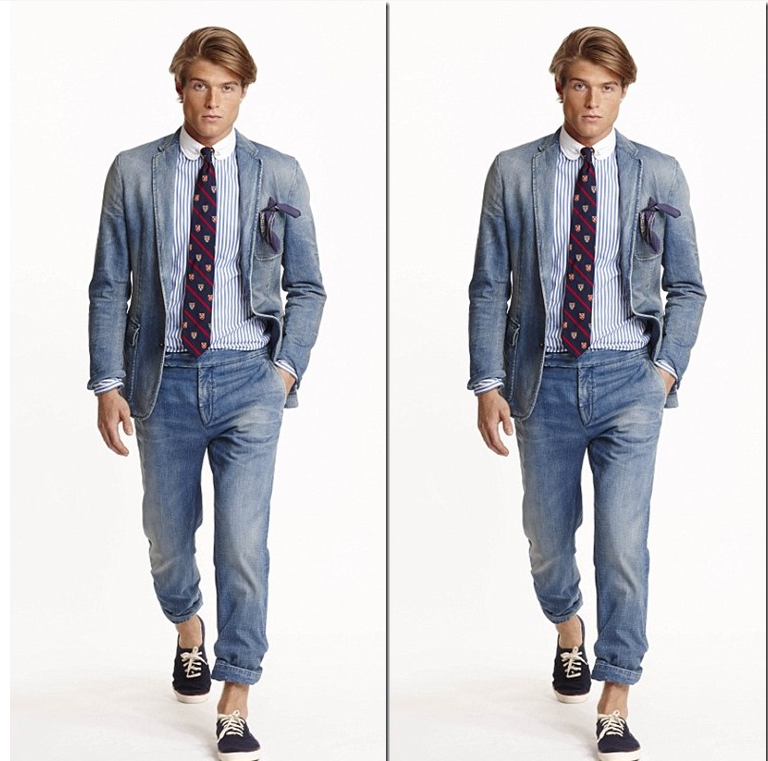 We have seen many a faux pas with many a celebrities bringing out the right combination of double denims. 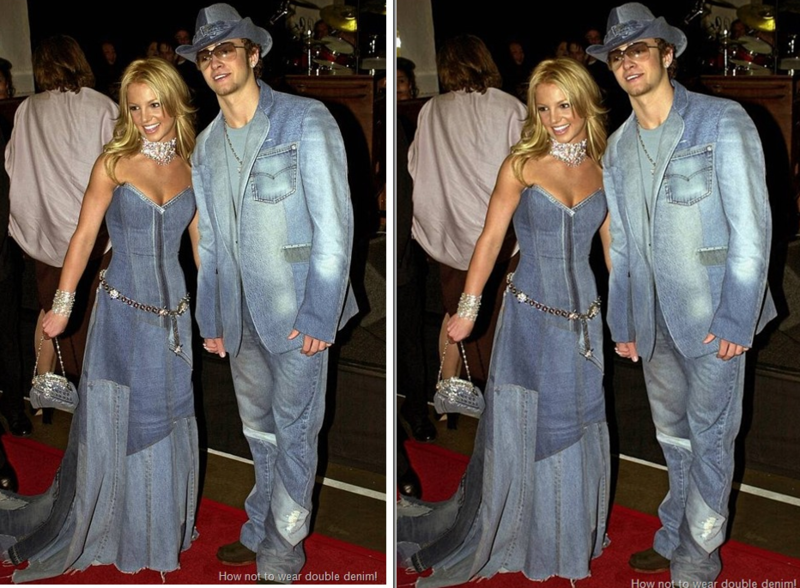 One of the most quoted faux pas has been that of Britney Spears and Justin Timberlake in 2001 when their double denim combination was often referred to as an example on how not to wear the double denim. However, much has changed since 2001 and denim has evolved into much more a fashion fabric. Brands and celebrities have been experimenting with different double denim combinations of various premium denims with differentiated washes to make the right pairings. 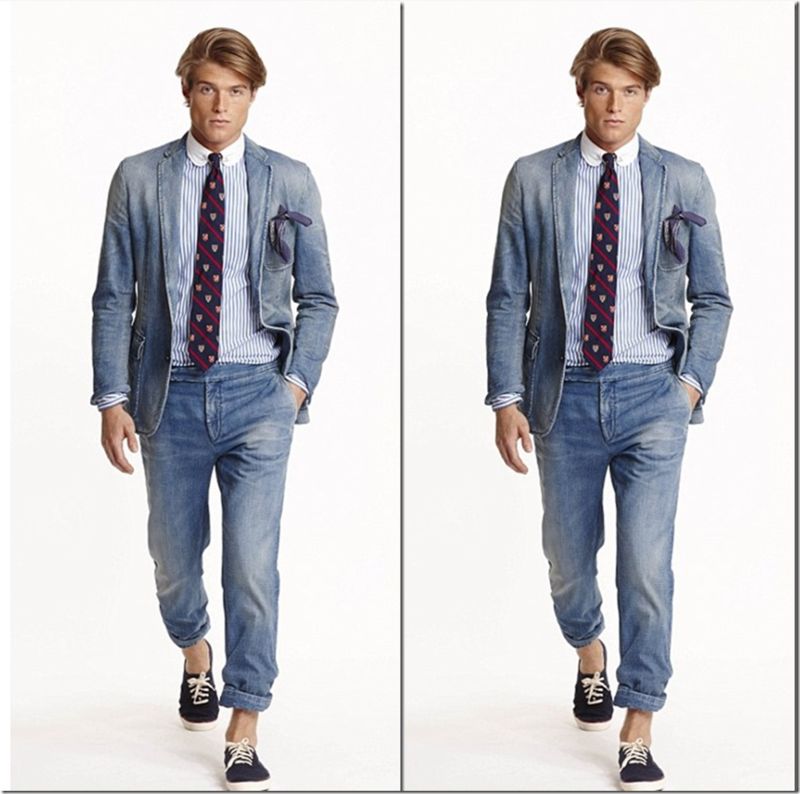 Ralph Lauren has just unveiled its Purple Label and Polo Ralph Lauren Spring 2015 collections and includes not one but two double-denim suits – in fact, one includes a waistcoat, making it a triple denim ensemble. It is a sharply-cut dark denim suit with matching denim waistcoat giving a very formal look. 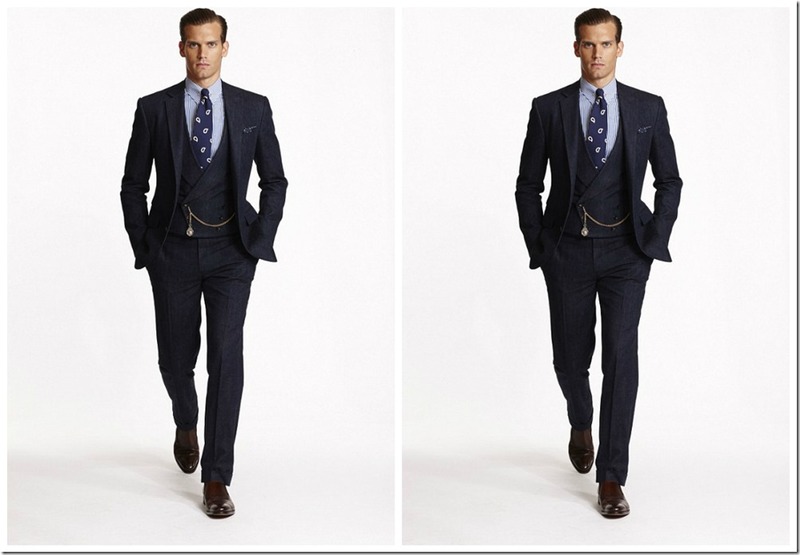 The brand says that it is targeted at a very sophisticated guy with a point of view who wants chic suits and sportswear. The menswear range also includes a washed-out denim jacket and matching rolled-up boyfriend jeans for a non-formal look. How these suits are taken up by their customers remain to be seen. However, there is an increasing trend by various celebrities like Miranda Kerr , Kim Kardashian and others to achieve various sleek combos with their double denims. 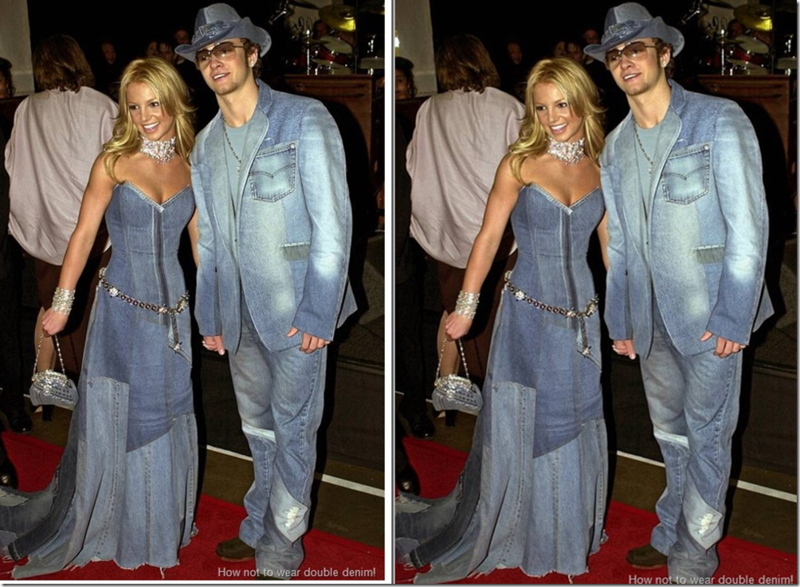 So , its not going to be like early 2000s and double / triple denim is a trend which is not going to die any time soon !